Super Smash Bros. Ultimate New Event "Classic" . A new in game event is set to arrive in Super Smash Bros. Ultimate soon. This New event name is classic, according it's name, it revolves around old video game characters. Characters from NES, Famicon and the Famicom Disk system such as Balloon Fighter and Donkey Kong Jr. will appear much in this new event. 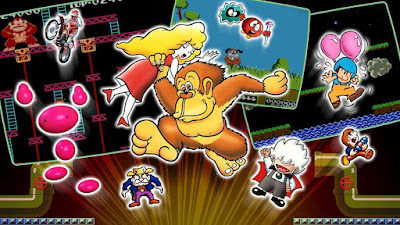 You will also have a chance to get handful of Legend class Spirits during the event, including Donkey Kong & Lady, Sukapon, and the NES incarnation of Link.